When I was first diagnosed with Celiac in 2008, there were not very many resources online like there are today. I was simply given a list of things I couldn't have, referred to a dietitian for one meeting, and left to my own devices. With my mom's help, I did quite well, despite the lack of info, and only had two gluten mishaps within my first year of being gluten-free. Now there is so much information out there that it is actually overwhelming sometimes, especially since not everything works for everyone. I am not a doctor or nutritionist, nor do I claim to be, so whenever you make any dietary or lifestyle changes, make sure you consult the professionals first. 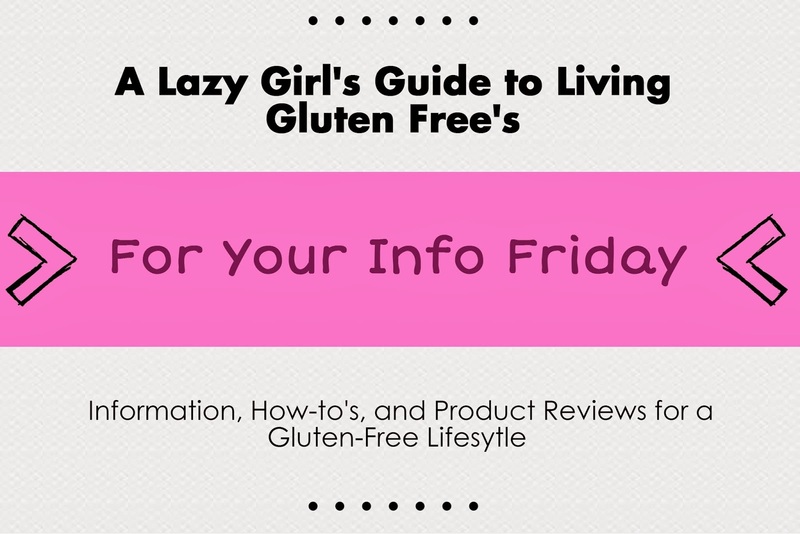 I am only here to help you guide your way through living gluten free and let you know what I have found to work and what doesn't. When starting out on a gluten-free diet or lifestyle, the very first thing you should NOT do is go to the gluten-free section at your grocery store. I know this seems highly counter-intuitive, however, you have to remember that if you have Celiac and have been eating gluten for any length of time, your digestive system is damaged. The thing to do before you start introducing a bunch of over-processed food is to let your insides heal. To start the healing process make sure you drink plenty of water and stick to one-ingredient foods as much as you can. Examples of this can be found around the perimeter of the grocery store in the form of raw fruits and vegetables and meats. Most veggies are easy to saute up with some olive oil and spices (make sure these are GF too), and serve with chicken breasts or other meat. For a little variety, you can also add in simple grains/seeds such as rice and quinoa. These are easy to make, very versatile, and pack good nutrients. When you start adding anything else into your diet, make sure you are reading the label every time you go to the store. Product ingredients can change, believe me, I've found out the hard way. My best advice to anyone starting out is to not to get overwhelmed. There are so many great resources and cookbooks out there now to help you start and continue your life-long gluten-free journey. Just remember to be diligent in reading labels and watching for cross-contamination, and if ever you have doubts that something is actually gluten-free, don't eat it. Simple as that. Have questions? Want more info? Drop me an email and I will happily help you out! Also, don't forget to let me know what you want to read in these 'For Your Info' segments!